Single malt whisky from Eden Mill distillery in St Andrews has fetched a record-breaking price at auction for the first release from a distillery. Bottle number one of 300 from the Limited Release First Bottling – the first drops of whisky to be distilled in St Andrews for nearly 160 years – sold for £7,100 through Whisky Auctioneer. 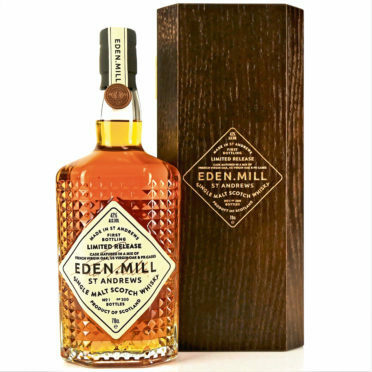 With a number of bottles gifted to long-standing Eden Mill employees and auctioned, there are now only 100 of the Limited Release remaining. Sean McGlone, managing director of Whisky Auctioneer, said: “We were absolutely delighted here at Whisky Auctioneer to have been involved in the sale of the first bottling of Eden Mill single malt whisky. “As an auctioneer, the only thing that excites us as much as old whisky is a brand new one. “It’s great to see new distilleries not just opening up across Scotland and contributing to our great industry, but also to see them doing such a great job.